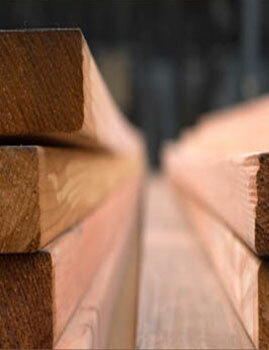 treated lumber and timbers for pole barns, home construction, etc. If you’re concerned about conservation (Going Green) when it comes to sourcing your building materials, please keep this in mind – lumber, timber, poles and pilings are manufactured from a crop, a renewable resource, and one that takes much less energy to produce than any of its competition. A typical pine tree is cut down at 40 years of age for use as a construction item. A properly designed and built structure using wood will last well over 50 years and, if maintained, indefinitely!! Please explore our provided link to the Texas Forestry Associates. Texasforestry.org covers what’s happening in the State of Texas to improve forestry and conservation efforts. As Texas lumber manufacturers, we support the proper care of this valuable resource and are happy to be part of proactive efforts to ensure that, years from now, Americans will be able to enjoy the same abundance of forestry in Texas and throughout the United States. Have your cows been out lately??? All the elements needed to keep things in or keep them out are here at Cobb. We do custom fencing and can repeat the traditional post and rail into a full length fence. Each wood fence post manufactured at Cobb is made with first rate material and conforms to AWPA standards for preservation. Applications of our wooden fencing include picket fences for neighborhood homes and wood fencing for large ranches. Other barrier items include safety fencing, wire fencing products, and highway guard rail posts. Contact us today to see how we can help you fix or build the fence or corral you need.